Super popular and a best seller, this Dash bundle gives you the flexibility to design each banner exactly how you want. You choose whether you want to use the same design five times or have five separate designs for each banner. 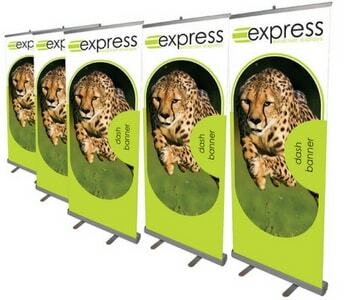 Buy five of these stylish and super easy- to- assemble banner stands and save 5%! Perfect to use in retail environments and offices, to promote your latest offer or your brand, the Dash is so popular because it makes promotion easy.